At the start of the 2018, who would have predicted that so much would have happened. Real change for the estimated 1.1m medical cannabis patients in the UK seemed a very long way away. There was some room for hope, however, as UPA Patron Paul Flynn MP’s Elizabeth Brice Private Members bill due for its second reading the House of Commons at the end of February was a potential catalyst for more to come. But no one, especially the Home Office, was prepared for the Billy and Alfie effect and the unstoppable force of mothers, Charlotte and Hannah. United Patients Alliance had some great plans to maximise the impact of every opportunity for change that presented itself and looking back at 2018, for a small bunch of volunteer patients with chronic conditions giving what time and efforts their conditions and limited resources would allow, it’s fair to pause for a moment and reflect on what we have achieved and give ourselves a big (but gentle) pat on the back before driving forwards into 2019 which we hope will become a year of significant patient access. We kicked our year off with the Northern Ireland Medical Cannabis Summit at one of the world’s top universities, Queens University, Belfast in the opulent Riddle Hall and with an awesome line-up of scientific, academic, medical and political speakers. The plight of Billy Caldwell and his unstoppable mum, Charlotte broke in May and progressed throughout June, triggering the UK Home Office to grant the UK’s first license for medicinal cannabis and promise to review legal access in the UK and to get the job done within just a few months. This was by no means straight forward and required constant engagement and cajoling and big, big thanks must go to the relentless Charlotte Caldwell, along with Families4Access with whom we attended a Press Conference, after which, Billy received his cannabis medication. It is so sad, that when Billy needed a new prescription with a different profile of cannabinoids, our medical profession refused to sign a new prescription, forcing he and his mother, Charlotte all the way back to Canada where he can legally access the medicine he needs. We expect this terrible situation to be resolved in early 2019 so that they can come home again. 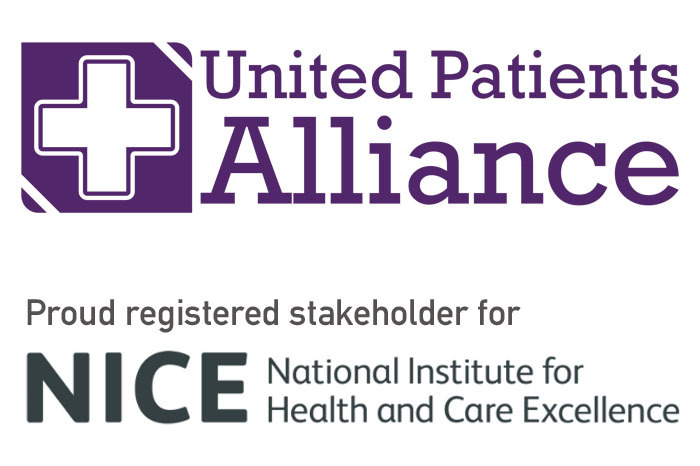 On November the 1st, the scheduling changes for Cannabis Based Medicinal Products came into force and the year crescendoed with a plethora of great stories and media appearances, and UPA took part in the first of many NICE Guidelines Stakeholder Workshops, bringing the Voice of Patients to bear where it really counted. At roughly the same time our Political Director presented the results of our 2018 Medical Cannabis Patient Survey at Professor Mike Barnes’ Academy of Medical Cannabis Launch. Whilst there has been so much progress and change in 2018 in which we are proud to have played a significant and leading role for patients, this really was only the first step on the journey to achieving our mission of legal access to cannabis therapeutics for ALL patients who can benefit and we shall be working very hard on helping more and more patients get the medicine they need, in the way that works for them. We shall be collaborating with some fabulous organisations who we believe will help us achieve that mission, including, The Centre for Medicinal Cannabis, The Academy of Medical Cannabis, Families4Access, The Beckley Foundation and as many Licenced Medical Cannabis Producers from around the world as we can as Clinical Trials begin to start in the UK. Please fill in and take our Patient Disclosure Form to your doctor to assist you in having “the conversation” and to assist them with the research in information they need to feel comfortable in discussing and eventually prescribing cannabis based medicinal products. Besides all the benefits described in the flyer, as a member you will be the first to learn about Clinical Trials that we get involved with and be amongst the first to be able to apply to participate. We are already talking with 4 Licensed Producers about trials they are planning in order to help introduce their cannabis based medicinal products into the UK market and there will be more to come. You shall be hearing much more from the NICE Guidelines Workshops which are scheduled every 2 months throughout 2019.